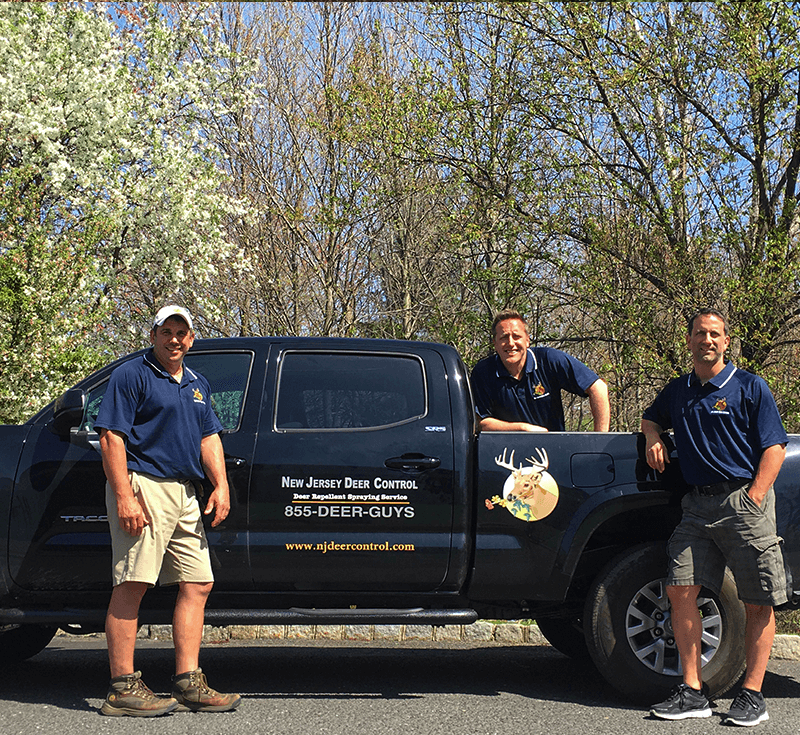 New Jersey Deer Control®, LLC president and founder, Christopher J Markham, is a wildlife biologist from Rutgers University who started a landscaping business in northwest NJ in the late 90’s. His landscape designs were being ravaged by deer damage and he experienced very minimal success with using over the counter repellents. He decided to shift his focus and dedicate his time and energy in creating a superior deer repellent that would provide long term success. After years of research, experiments and field testing, Chris patented a natural product that is extremely effective and has achieved amazing results. Since 2002, Chris has been protecting landscapes from deer damage at a very high success rate. The success enabled Chris to add his two business partners, Spiro Economou and Mark Jameson in 2007 to form New Jersey Deer Control®, LLC. We are Deer Repellent Specialists® and this is all we do as a company! We are an owner operated business that is completely dedicated to customer service and satisfaction. Unlike some services, we use our own proprietary deer repellent that cannot be found in stores. And unlike some repellents, our product is extremely weather resistant, virtually odorless and transparent. A unique element to our company is that we actually produce our product on a daily basis which lends to its potency and is a key component to the success of our spraying service. Our success has enabled us to grow an extensive customer base throughout the state including some clients who have been with us since the start in 2002. We have also been able to build great working relationships with many landscape and nursery professionals over the years. We promise our clients and colleagues dramatic results against deer damage and we guarantee both our product and service. New Jersey Deer Control®, LLC owners (left to right): Chris Markham, Mark Jameson and Spiro Economou.